You will find in it a brief history of the metallic cartridge and the description of its components (the primer, the case the powder, the bullet) and of the various tools used for handloading. 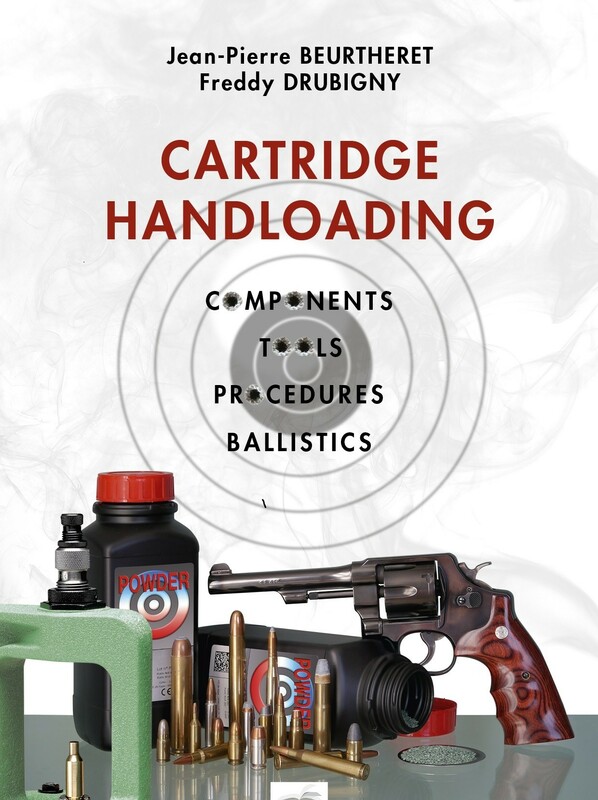 The detailed description of advanced handloading procedures and die adjustements departs from the usual specialized literature and will allow the production of ammunition totally adapted to a specific firearm, using the standard reloading table of the powder manufacturers. Cartridge conversions, ballistics, security of the shooters and on the range are not forgotten. The last chapter is devoted to a short description of the automatic and semi-automatic firearms operation. This book will allow you a didactic approach into the exciting world of perpetual research which is: "CARTRIDGE HANDLOADING".